Looking to delight your customers or suppliers with something a little different, not just your average off-the-shelf merchandise? Small minimum orders, attractive bulk pricing. Wine Tote Bags: Custom print, fabric colour, strap colour and tags. 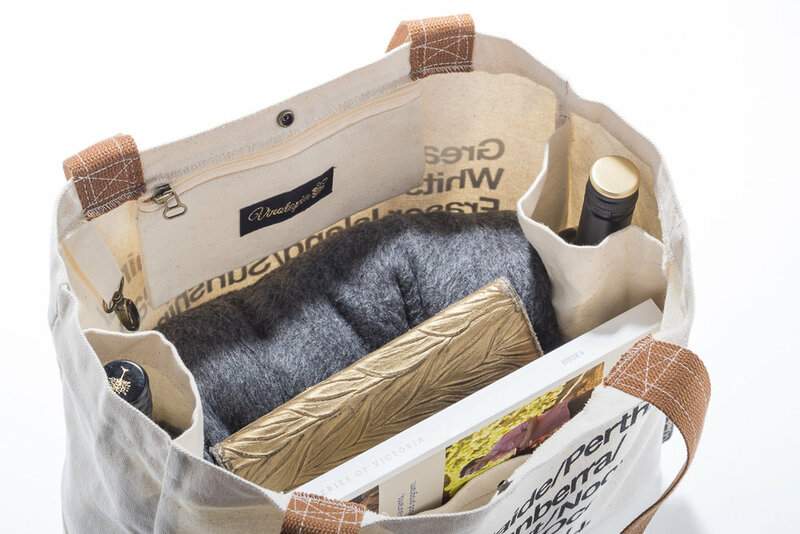 Wine Tote Bags: Available as a 2- or 6-bottle tote with lots of clever details. Designed in McLaren Vale, SA, Australia - support a local business. 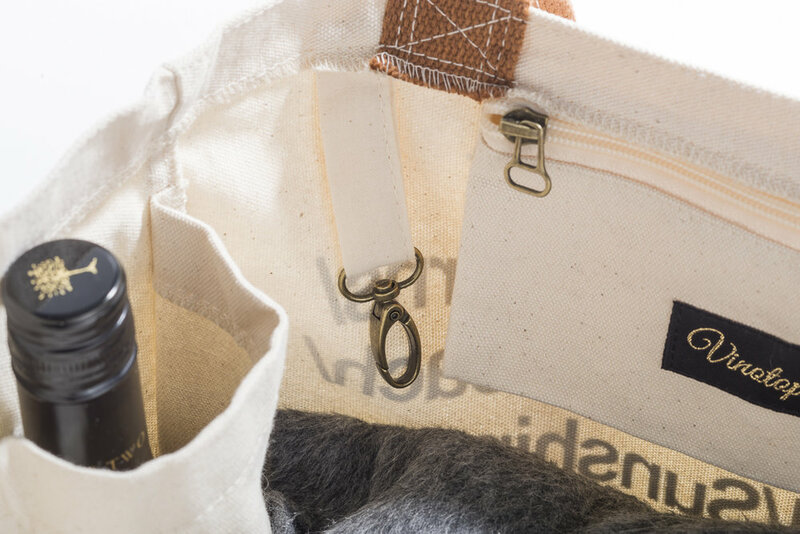 Of course, our custom merchandise bags come with all the usual clever little features of our Vinotopia bags: bottle pockets, key holder, zip pocket, magazine pocket and phone pocket - as well as sturdy, comfortable long straps. 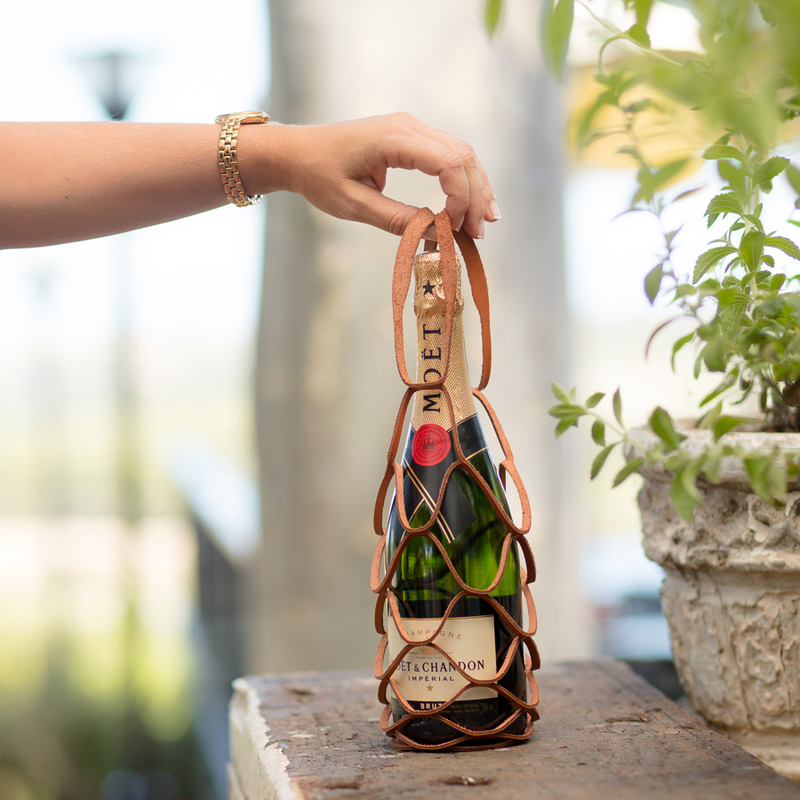 Whether you’re a winery and would like to send out gifts to your wine club members, clients, suppliers, employees, reps, for company anniversaries, product launches or simply occasions such as birthdays or Christmas..
A gift shop, bottle shop or deli and would you like to have beautiful, branded gifts and merchandise to sell at your storefront, cellar door or tasting room.. We can help with all of the above. We’re not just restricted to the wine industry though - we also love to work with other industries, as can be seen in Vinotopia’s latest project in the tourism industry for Tourism Australia. We created custom branded merchandise bags for the delegates at the Annual Tourism Exchange, the 40th anniversary of Australia’s largest Tourism Conference, held in Perth, WA, from April 8-12 2019. Most other items on our website can be customised too.. Please get in touch if you’d like your own bespoke merchandise or gifts. Simply let us know what you’re after, ideally with quantities. We will get back to you as soon as possible. Thank you - We can’t wait to see what beautiful bespoke merchandise we can create for you and will be in touch shortly!